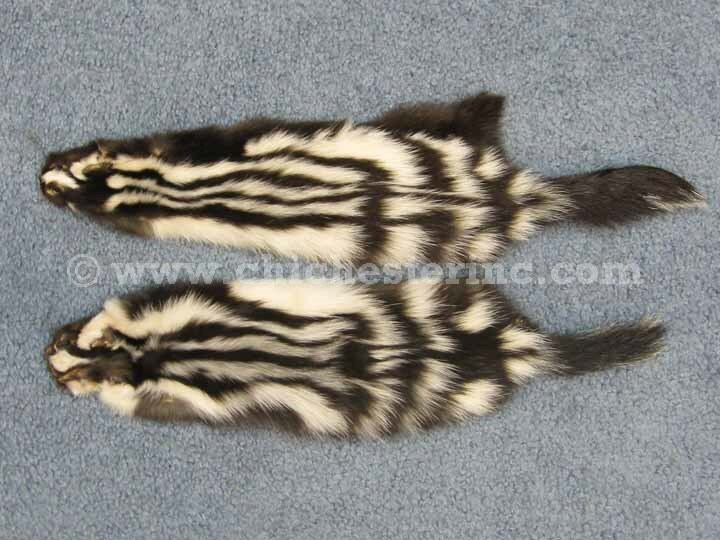 These civet cats, also known as western spotted skunk, are from New Mexico. 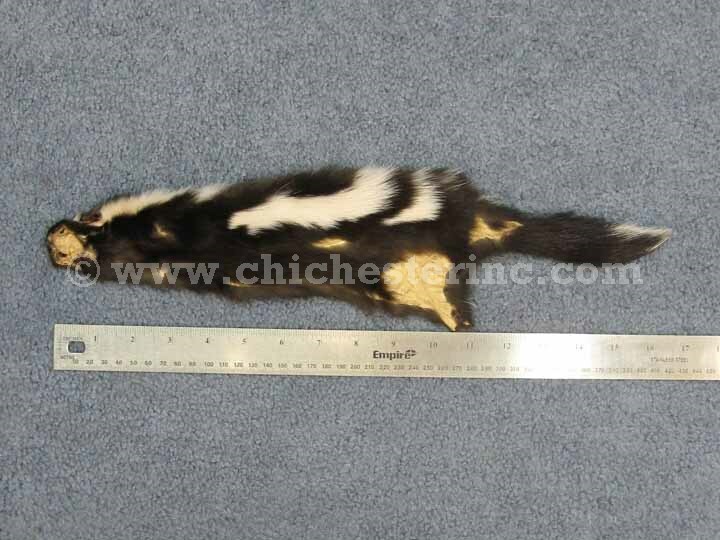 They are approximately 11" long by 3' wide and weigh 23 grams or 0.8 oz. The following are other names the civet cat is known as: Polecat, Hydrophobian skunk, Phoby skunk or Phoby cat, Tree skunk, Weasel skunk, Black marten, Little spotted skunk, Four-lined skunk, Four-striped skunk, and Sachet kitty. Genus and species: Spilogale gracilis. Wild. This is not an endangered species and is not subject to CITES controls.